Remodelling your kitchen or bathroom can lead to serious plumbing complications if you don’t have the right people on the job. Whenever you’re undergoing a renovation of any kind, whether commercial or residential, your kitchen or your bathroom, it’s essential that you have a professional carry out the necessary plumbing renovations. If required, we obtain necessary permits to ensure there won’t be any significant problems later on down the road. The team at Butler Plumbing can help make your renovation a hassle free success. Upgrading your plumbing system in any way will add value to your property. If you’re unsure where to start, we will be happy to provide with you tips and tricks on plumbing renovations and the most efficient and economical way to increase the amount of profit you can fetch for your home or office. We will work with you or your contractor to ensure the right renovation choices are being made. Our team can either install fixtures you provide, or you can purchase them from us. We offer many quality fixture brands such as American standard, Aquabrass, Bain Ultra, Blanco, Delta, Duravit, Franke, Grohe, HansGrohe, Hytec, Insinkerator, Julien, Kindred, Kohler, Maax, Mirabelle, Moen, Riobel, Toto, and many more. The fixtures we supply all come with excellent warranties and can be purchased for a great price! Since 2005, we have been leading our industry in plumbing renovations and repairs throughout Edmonton and its surrounding areas. Our services revolve around our core values of dependability, honesty, and high-quality service. We’ve often been referred to as one of “Edmonton’s best kept secrets”. We’ve worked with many well-known renovation companies to help homeowners get the most value out of their plumbing renovations. We’re a member of the Canadian Hydronics Council (CHC) and the Mechanical Contractors Association of Alberta. These memberships allow us to maintain top quality practices and service. 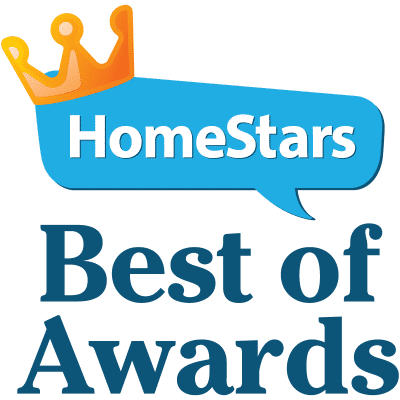 We are also proud to say that we are the winners of the 2012 and 2013 Homestars Award, voted by our customers as the best plumbing company in Edmonton. We are also thrilled to be chosen by Edmonton consumers as the 2014 Top Choice Award Winners for Edmonton Plumbing. We’re eager to answer any questions you may have about our plumbing services. Call Butler Plumbing today! We will always schedule a convenient time that works for you. 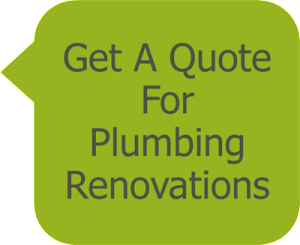 Please contact us to get a quote on your plumbing renovations today. Here’s how we helped Cindy.